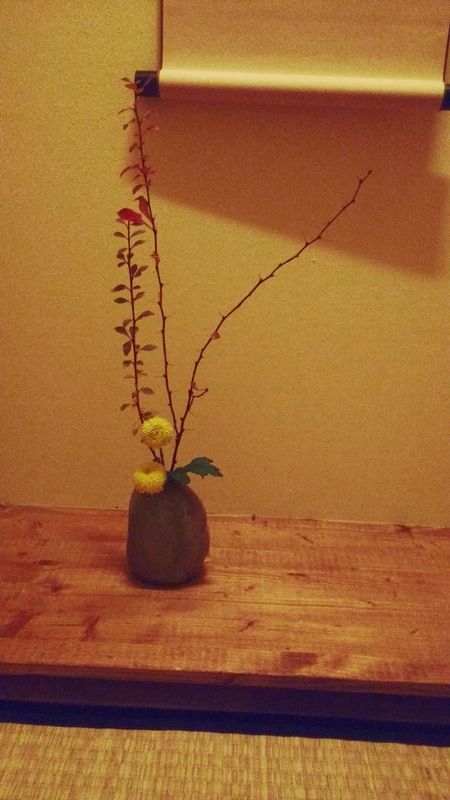 In wintertime we change the place of the fire. We get it closer to the guests, in the centre of the tea-room. 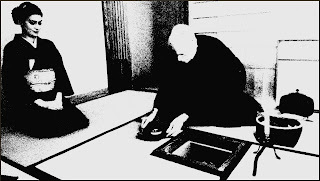 The first use of this hearth is very importance in Chanoyu world and it's practice. This day shall also be the first day we use the new green tea for this tea-year. This tea shall be used throughout the year, until the next November. 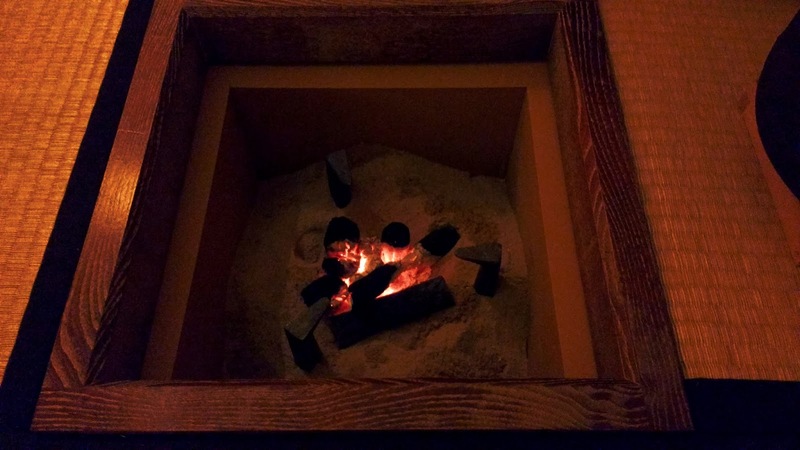 The hearth is called Ro. We say we "open" the ro in November. 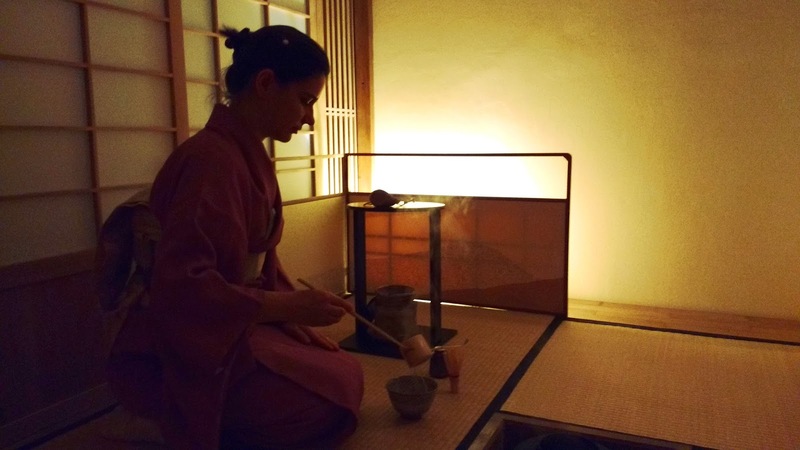 It is a formal event when the tea master can and will probably will perform himself the tea ceremony. 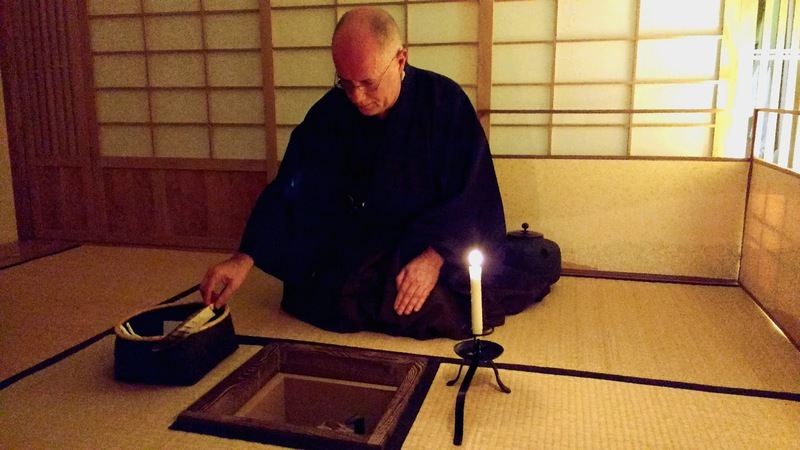 It is very seldom that the tea master does himself a tea ceremony in front of his students, probably the only one time in a year, therefore it is very important for them. 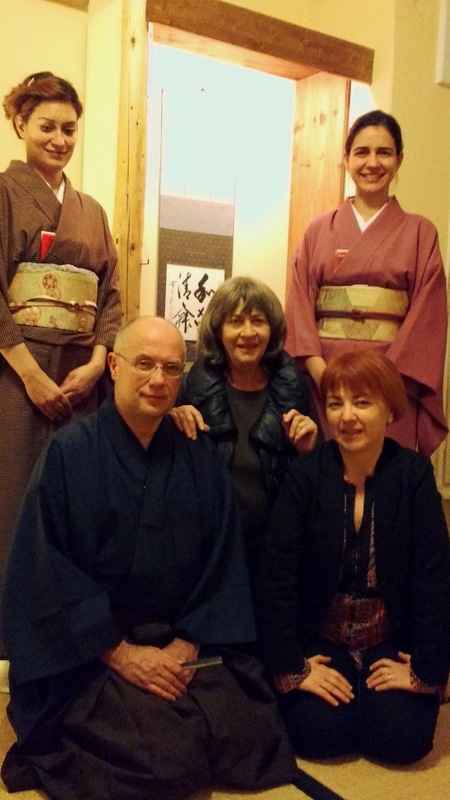 This year our sensei, Sooga, performed Bon-Kogo temae for the making of the fire, and Tsuzuite Usucha for the think tea (Koicha) and the thin tea (Usucha). 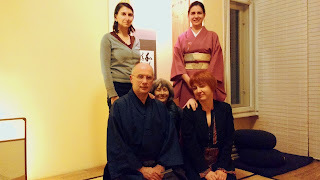 He had been helped by our day-to-day instructor, Cristina san, in making Usucha. 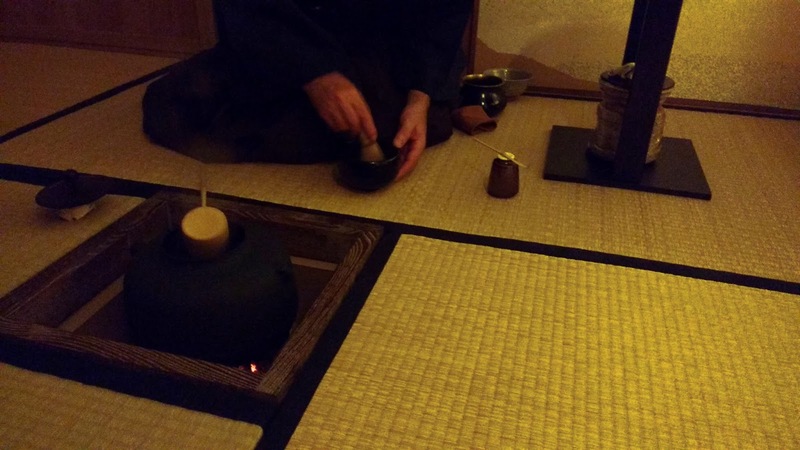 A very good meal, called Kaiseki, had been prepared between the making of the fire and the tea. We had special guests for this ceremony, Mrs Sanda Rosescu and her friend Simona Sora, to whom we thank deeply for their participation.